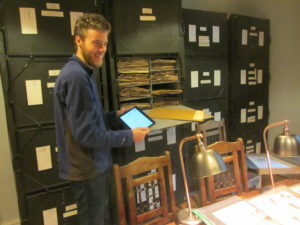 Time flies and amazingly we’ve reached the end of our 2-year ‘Plant Recording for All Ages’ project funded by the Heritage Lottery Fund – started way back in May 2016! 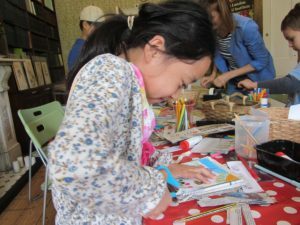 During this time, we like to think we’ve made big differences “to heritage, for people and for communities”, in line with the HLF’s aims, with thousands of adults, school children and families enjoying our wide range of educational activities and learning more about plants. According to records, 10,246 people visited the SLBI or took part in off-site activities from May 2016 to July 2018 – a steady increase on previous years. 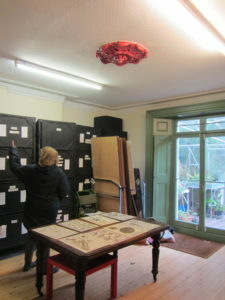 The historic herbarium at the Institute has been conserved as an important piece of local heritage. It was repainted and the floor was sanded and sealed to make it more insect-proof. The harsh, inefficient strip lights were replaced with energy-efficient pendants, in sympathy with the room’s Victorian origins and its Edwardian and post-Edwardian use. The central ceiling rose was changed from its harsh red colour to a more sympathetic white, and a light fitting was added to it. The metal lampshades now complement the metal cabinets, adding historic atmosphere and nicer conditions in which to study/work/visit. The works have contributed to the conservation of the whole heritage building. 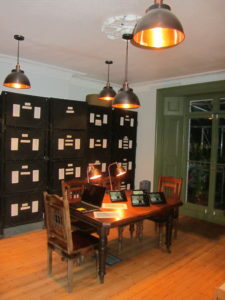 The herbarium also has new digital interpretation and an improved catalogue making it more accessible to visitors. 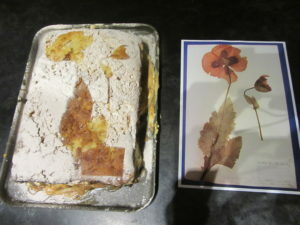 The digital interpretation is very creative and allows visitors of all ages to enjoy using it to learn about the specimens and the herbarium’s history and to have the opportunity to make an interactive poppy specimen. It explains the importance and history of plant collecting and identification, and helps users to identify some key common and wild plants. The herbarium cabinets are also in a better condition, thanks to a generous individual donor who funded their conservation work to be carried out alongside the HLF project. 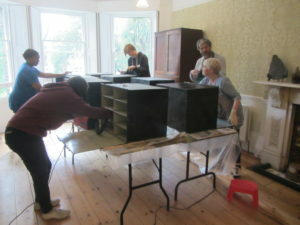 Around 10 volunteers spent a significant amount of time over several months, cleaning, waxing and painting the cabinets, learning the skill from a professional conservator. 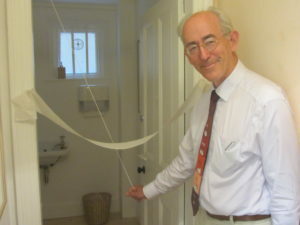 New and more accessible toilets were also installed, to meet the needs of increasing visitor numbers and those with mobility difficulties. Before, we just had one small, old, inaccessible toilet. Now we have two nice new ones, with one a very good size! 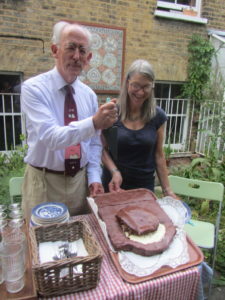 Celebration events were held in July 2017 to ‘open’ the new toilets and in October 2018 to ‘open’ the new herbarium – both with appropriate cakes…. Numerous adult educational events were held on the subject of plant recording and identification. 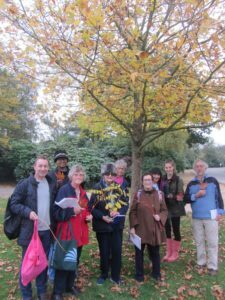 These included Plant Families and Veg Keys workshops, Plant/Tree/Fungi ID walks, cyanotype/printing/textiles workshops, plant collecting, plant pressing, talks on London’s botany, open days with microscopes, open garden weekends etc. We worked in partnership with many other local community and nature-based organisations to deliver these. 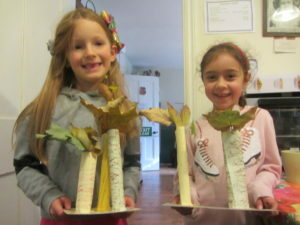 We also held lots of school visits, all relevant to the National Curriculum, in which children learnt about plant classification through activities such as using a microscope, exploring the garden and doing plant drawing. 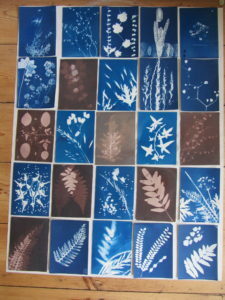 Holiday activities took place too, for example making a plant hunter’s record book, making a plant press and cyanotype photography (sun prints). 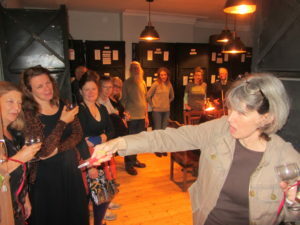 New volunteers were recruited to work alongside existing ones, all contributing greatly to the impact of the project. A total number of 76 people, of all ages and backgrounds, volunteered during the project, contributing 3,700 hours. 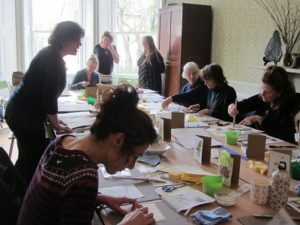 Many of these volunteers gained additional skills and experience in education, visitor engagement or conservation activities such as school visits, herbarium specimen conservation, publicity, gardening and governance. An exciting aspect of the project was one of the SLBI’s young volunteers taking some damaged Iraqi specimens from the SLBI collection and conserving them as part of his MA in Conservation. 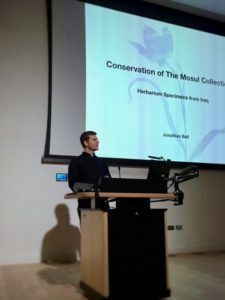 He then talked about this conservation of ‘The Mosul Collection’ as part of his college symposium and at the herbarium opening celebration event. Our thanks to the Heritage Lottery Fund for their support of our work and to everyone else who has been involved – we look forward to more great future developments!